Truly a sophisticated menu board with an exquisite design ! 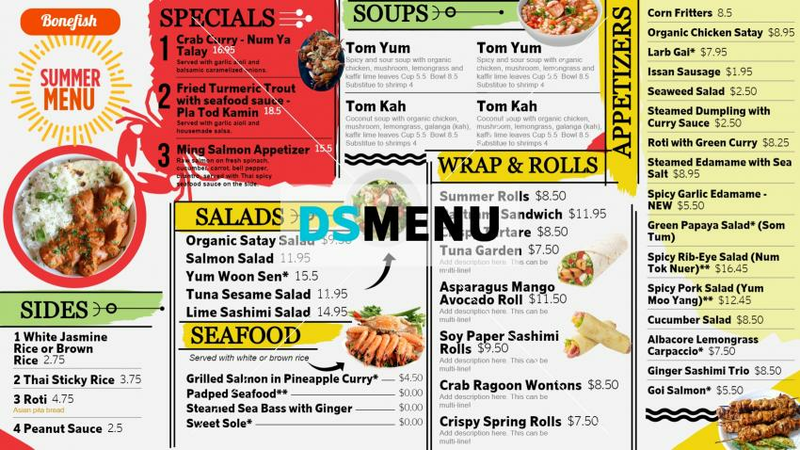 The white color dominance along with it’s combination with yellow and green make this menu board very classy. The menu is comprehensive with appetizers, sides, seafoods, soups et al. On a digital platform this menu board will be scintillating and will certainly bring in many customers.